Team Florida came away with two national championships Saturday in New York. 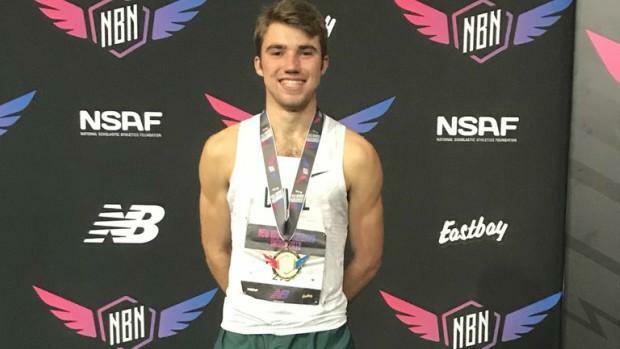 Bolles junior Chase Rivera defended his Emerging Elite mile title at New Balance Nationals Indoor with a winning time of 4:14.69 beating runner-up Nick Miller of Ohio by over two seconds. That mark was five seconds better than he ran in 2017 and comes a week after setting a new personal best and then US#4 time of 4:16.76 in the 1,600m at the Bolles Bulldog Classic. Freshman Markevus Jackson also flexed his muscle in the Big Apple. Jackson, who attends Osceola High School in Kissimmee but runs with Gary Evans and the Empire Athletics group, took gold in the freshman 400m dash with a time of 51.13. Club teammate Tamari Davis had a monster first day in the 60m and 200m dash prelims with the fastest seeds of 7.40 and a new freshmen class national record of 23.24 in the deuce. It's very possible "The Empire" could dawn two more gold medals by the end of Sunday.